Thank you so much for updating!! 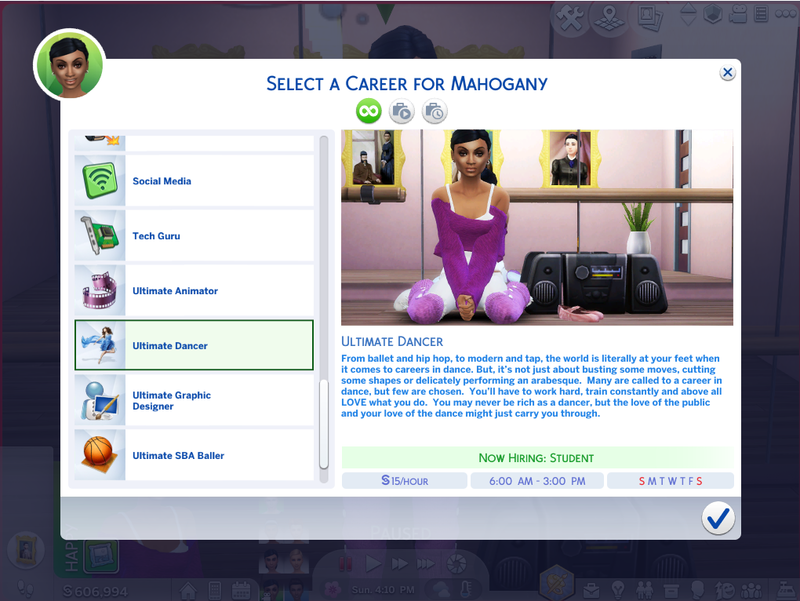 I don't know if it's just me, but when I downloaded this mod as well as the other Ultimate careers, my sims were not getting hourly wages, only bonuses. Wasn't sure if it was because of the recent update or something else. Hi kazechi. Have you re-downloaded them? The November patch broke careers in that way, but I've updated all of these recently and haven't been having any issues (or had any reported). You'll probably need the newer Neia Commons file also. "Addicted to gum? Try delicious cigarettes. Cigarettes. Control your gum craving." This is awesome, thanmk you! 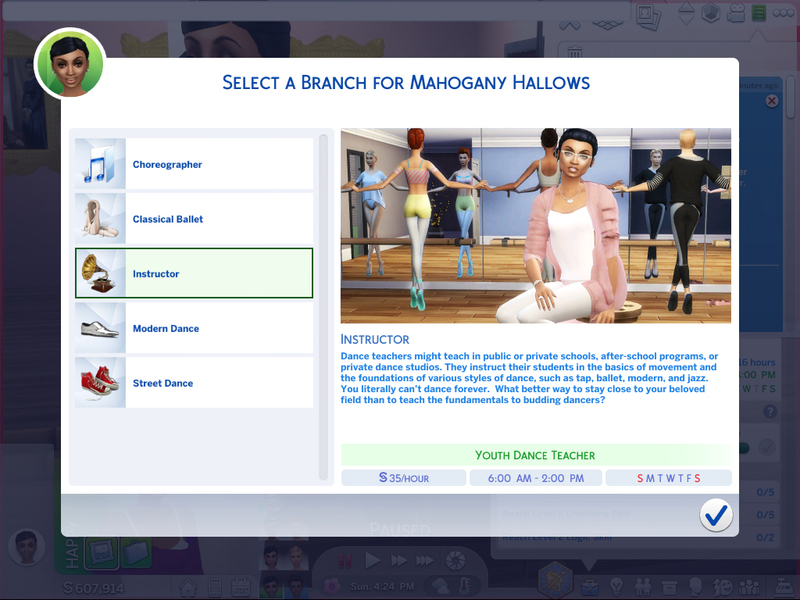 You should probably list somewhere that you need Get Together installed to be able to access the dancing skill because otherwise you can't really progress because the skill doesn't even exist. Beautiful! 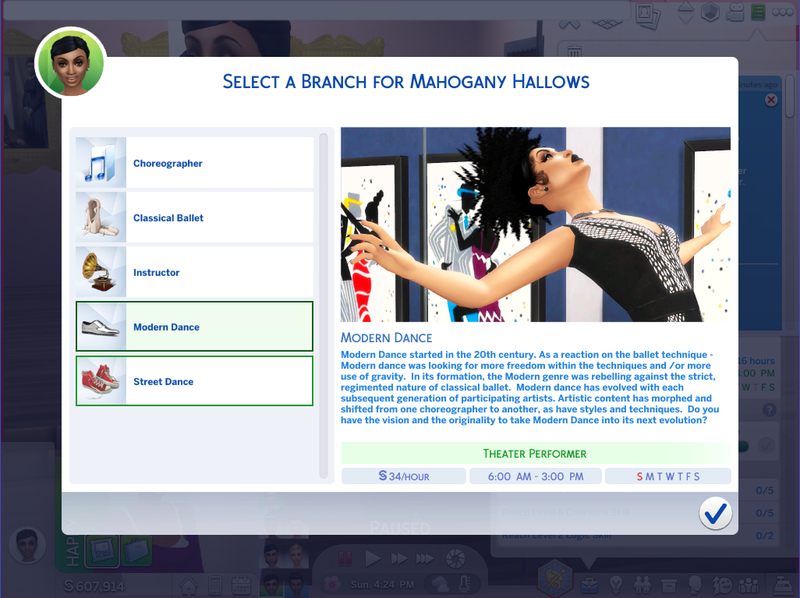 Are your model sims available in the Gallery? Some but not all. 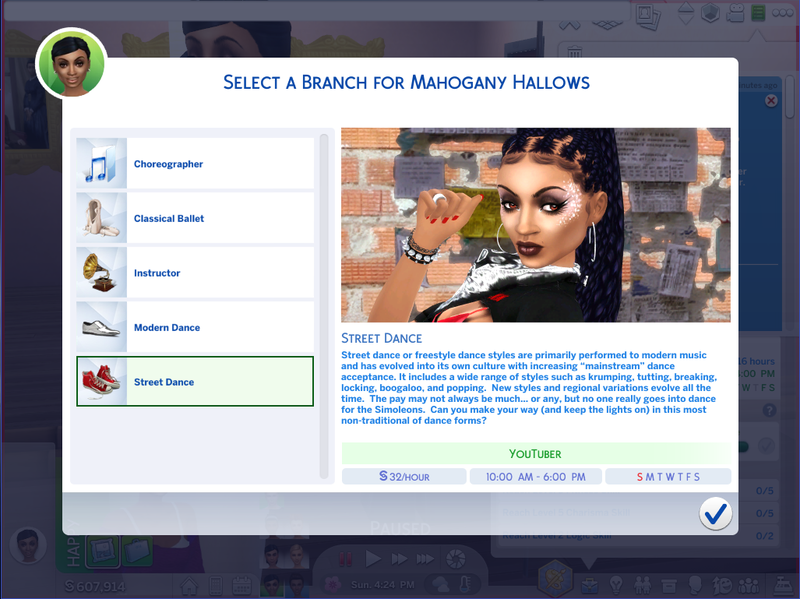 Also since the gallery doesn't allow CC they look COMPLETELY different. This one is, for example, but if you pull her up by her name, you'd barely recognize her. Awesome career...always wanted something like this for the game! 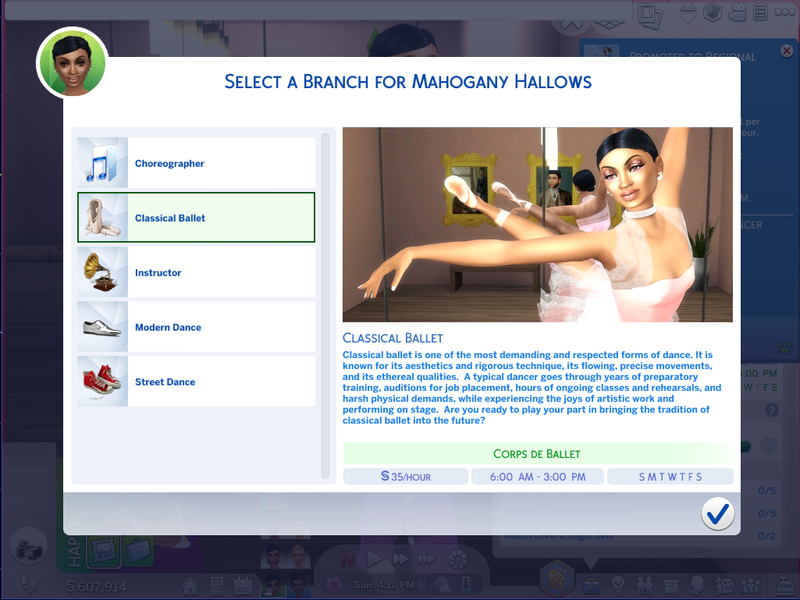 Need access to the Dancing skill to progress; I had to use the career promotion cheat. But the mod works fine and doesn't seem buggy or anything; very nice. 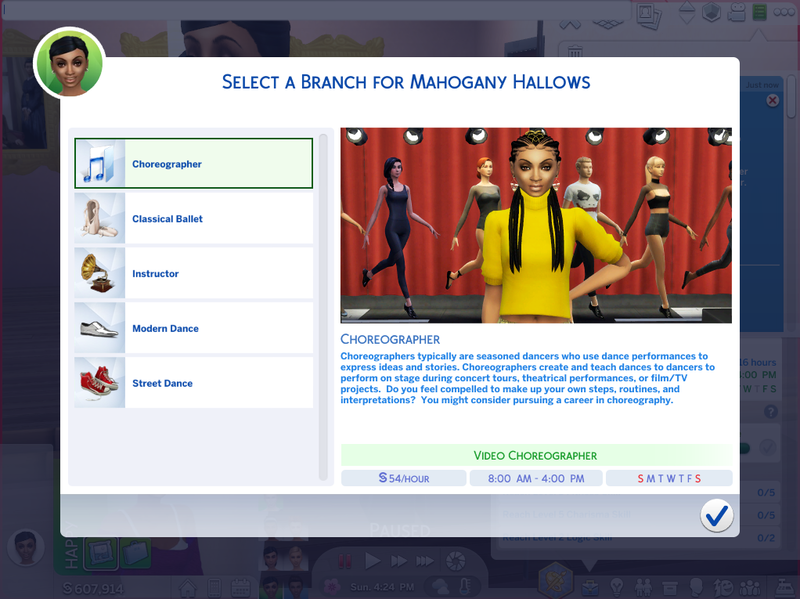 Anyone know if it works properly with the Strangerville pack? Hi! Im new to this and my 1st download. Im super excited! Im still learning how to download things and I only see for windows instructions. What about for Mac users, what do I do? I love all the different paths and the detail put into this! Great job, thanks!